A huge development in the Cape Town foreshore, once known as KPMG Place, has been renamed The Halyard, a reference to a rope used for raising and lowering the sail on a boat. It was renamed The Halyard in reference to the building's close proximity to the port, Daniel Greaves, realtor at Knight Frank South Africa, told Business Insider South Africa. "Main halyard ropes are also usually blue and white in colour, this references the colour of the facade as well," Greaves said. 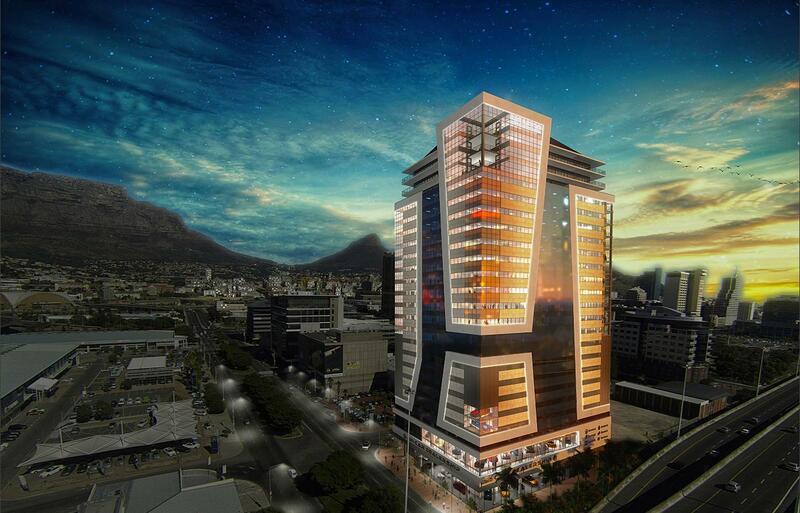 Construction on the R550m development, also briefly known as Ducat Tower, started in 2015, but was badly delayed after the main contractor NMC Group was placed on business rescue. In renders of the then KPMG Place, the accounting firm's logo was prominently displayed on the building's south and west faces, where it would be very visible.